Bella Vino Gift Baskets, LLC & Corvallis Gift Boxes is operated by Leigh Griffith, an Oregon State University Alumni 1996 of the College of Exercise and Sport Science, now the College of Public Health. Formerly Leigh Averill Brady, she previously ran Corporate Elegance, another custom gift basket company in Hillsboro, Oregon servicing corporate clientele in the Portland-Metropolitan area. Leigh was nationally recognized in Gift Basket Review Magazine in September 2003 and was featured in the Corvallis Gazette Times in January of 2013 and was nominated for Entrepreneur of the Year 2016 and 2017 for Celebrate Corvallis awards put on by the Corvallis Chamber of Commerce. 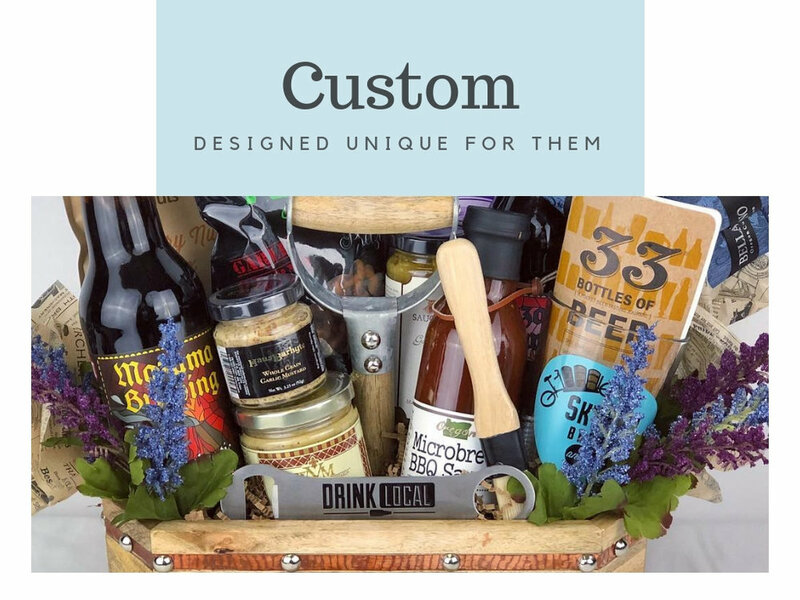 Bella Vino Gift Basket's mission is to provide beautiful, custom tailored & personalized gift baskets & boxes featuring only the best local to Corvallis & Oregon made gourmet foods, wine, craft beer & cider. We strive to be mindful of the earth in the production of our baskets while designing one of a kind gifts for your special recipient. While it is currently not possible to provide a 100% sustainable basket, we are committed to supporting Oregon small business & only using Oregon made foods with the intent to support our local economy & decrease our carbon footprint through less shipping within shorter distances. We make every effort to design our gifts with the earth in mind and provide earth friendlier choices in our packaging, such as biodegradable & compostable cello wrap. We provide you ideas with how to repurpose or recycle items used in our gifts. Check out our Blog for easy & crafty ideas. Follow us on Pinterest for many ways to reuse and repurpose our gift packaging.